(Ref:RG043) This really is a fabulous 2 bedroom townhouse located on the exclusive 5 star Roda Golf & Beach Resort. 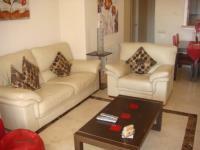 The property comes fully furnished with high quality furniture throughout. With a lovely terrace providing easy access on to the lovely gardens and communal... See details & gallery for this Townhouse! 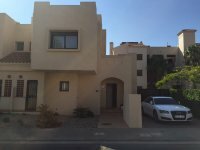 (Ref:RG047) Roda Golf townhouse with 3 bedrooms on Phase 3. 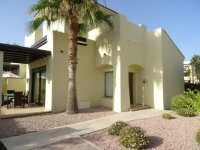 This lovely Roda Golf townhouse is furnished to a high standard and all furniture is included in the sale. With one bedroom and family bathroom downstairs and two bedrooms and family bathroom upstairs. The... See details & gallery for this Townhouse! (Ref:RG040) NEW LISTING, JUST AVAILABLE!! Located on Roda Golf and Beach Resort in Murcia is this lovely semi-detached villa for sale. Just a few minutes drive to the beach and with some lovely views over the fabulous Roda Golf course in Los Alcazares. This is a beautiful 3... See details & gallery for this Villa! (Ref:RG045) PRICE REDUCED FOR THE BEST PENTHOUSE APARTMENT ON RODA GOLF. This incredible 3 bedroom luxury penthouse apartment on Roda Golf in Los Alcazares has never been available. Properties in this block that is totally front line to the golf course were never available on the... See details & gallery for this Penthouse! (Ref:RG034) A beautiful apartment, beautifully furnished and in a great location, a corner property with great open aspect, properties like this one do not become available often. With many extras and comprehensively equipped throughout, early viewing is a must with this... See details & gallery for this Apartment! (Ref:RG008) An absolutely fantastic 3 bedroom semi detached villa located on the much sought after Roda Golf & Beach Resort. 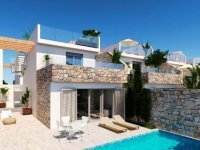 This is a superb villa in an excellent location on phase 1. Beautifully furnished and recently decorated and improved throughout,... See details & gallery for this Villa! (Ref:RG037) PRICE REDUCED, PRICE REDUCED. This really is a fabulous 3 bedroom townhouse located on the exclusive 5 star Roda Golf & Beach Resort. 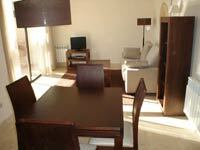 The property comes fully furnished with high quality furniture throughout. With a very large private garden and easy access on to... See details & gallery for this Townhouse! (Ref:RG070) A SUPERB PROPERTY IN A GREAT LOCATION. 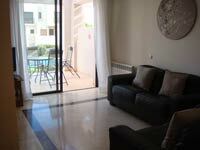 Luxury 3 bedroom semi-detached villa with 3 bedrooms on Roda Golf, fully furnished and available for 250,000 EUROS!! 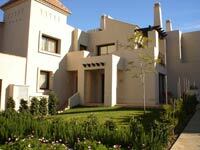 A lovely Roda Golf property in Los Alcazares for sale. This is a well located... See details & gallery for this Villa! (Ref:RG046) PRICE REDUCED, PRICE REDUCED. This is a very sought after superb 3 bedroom penthouse apartment with a fantastic spacious roof top solarium commanding excellent views on the much sought after 5 Star gated resort of Roda Golf & Beach Resort. The rooftop`solarium is... See details & gallery for this Penthouse! (Ref:RG051) A FANTASTIC FRONT LINE, 2 BEDROOM DETACHED BUNGALOW WITH PRIVATE HEATED POOL ON RODA GOLF. Beautifully furnished and presented in immaculate condition, this very nice Roda Golf villa with private heated swimming pool must be viewed.... See details & gallery for this Villa!